Welcome to another weekly round-up, where we share (what we see as) the most interesting and important articles from the previous seven days. 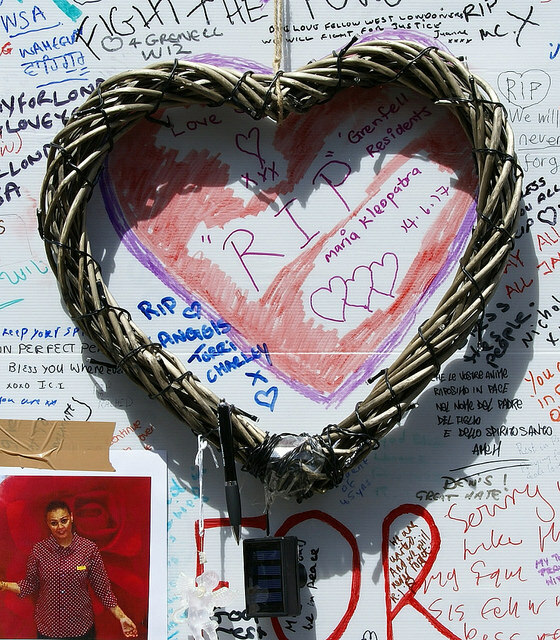 The past week has seen the horrific (and heartbreakingly avoidable) fire at Grenfell Tower in Kensington as well as the terrorist attack at Finsbury Park Mosque. We have included some articles about both of these events in the round-up. “Mariem Elgwahry, 27, and Nadia Choucair, 33, reportedly received letters ordering them to stop their campaign for improved safety. “Both women were fighting the Kensington and Chelsea Tenant Management Organisation for building improvements, with help from the Radical Housing Network, The Mirror reports. From the article: “‘I was shocked at the ease with which others, sitting behind their desks, could explain our tragedy away within an afternoon,’ Ryan says now. ‘It was very difficult to read that they were sympathising with a man who caused Mum and Charlotte misery their entire lives. One writer even dared use the word ‘understandable’ to justify why they were murdered.’ This second Daily Mail article, a column by psychiatrist Max Pemberton, argued that a man killing his children ‘is often a twisted act of love’. The article was later removed from the site. From the article: “Given mainstream feminism’s genital fixation since the beginning of 2017, this hypocrisy is confusing. Women should reclaim their bodies and feminists should be in support of women’s bodily autonomy, yet Amber Rose is a ‘bad feminist’ for having a feminism centered on reclaiming her body and sexuality? Megan Stodel has recently written on this subject for the F-Word HERE. The image is used under a creative commons license with thanks to ChiralJon on Flickr. 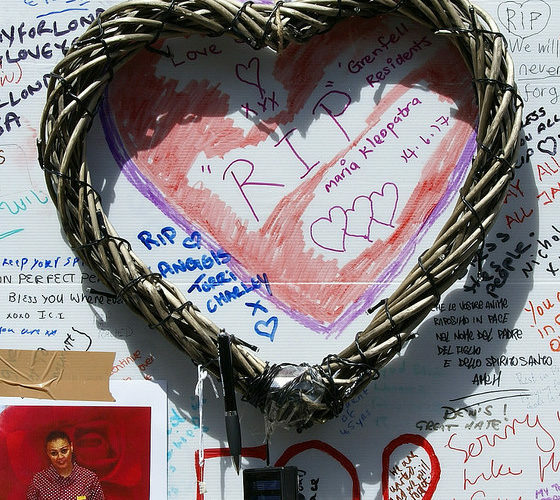 It shows a tribute at the site of the Grenfell Tower fire; a wicker heart hung from a wall, surrounded by handwritten tributes and photographs.